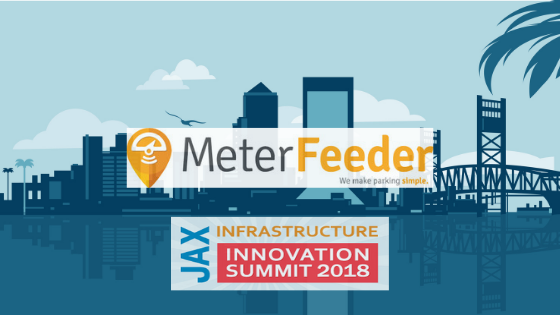 Meter Feeder Attending Jacksonville Infrastructure Innovation Summit in Florida. Meter Feeder will be attending to show off their suite of products and services. Not only is Meter Feeder’s GPS based pay by phone app being displayed, but visitors can also expect to learn about Meter Feeder’s new Pay-By-Vehicle technology. This new system allows for any vehicle newer than 1996 to pay for parking as soon as it’s turned off in a MeterFeeder zone. This technology was designed with fleets and autonomous vehicles in mind to allow them to avoid parking tickets and only pay for the time that they use. You can find MeterFeeder at Booth 15 in the Prime F. Osborn III Convention Center for the Jacksonville Infrastructure Innovation Summit on Friday, October 5th.